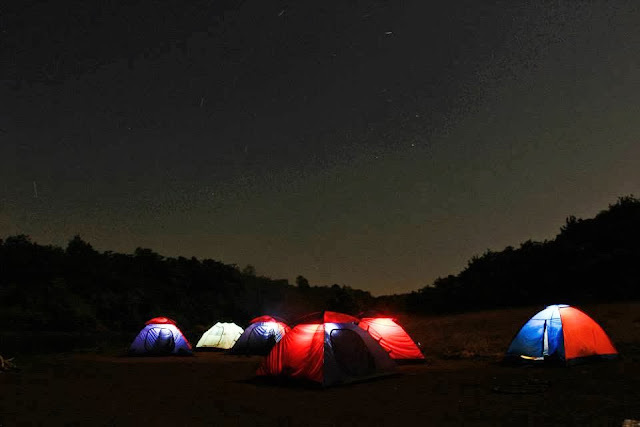 If on 64th Republic day of India we give you options like Adventure, kite flying, a Night trail through the jungle, star gazing, barbecue and an Experience of Camping under the vast canopy of starry skies & then ask you to select only one then it would be literally going against the Freedom that our constitution has granted us. Canvas and Chrome offers the opportunity to experience all the above activities in 1 Event to celebrate our 64th Republic Day. Our celebrations begin from 25th Jan itself and do not end till you experience the freedom that our Great Country offers. 25th Jan|5:15 PM: Reach the Campsite. 25th Jan|6:00 PM: Soak in the beauty of the setting sun & get ready for an activity packed evening. 25th Jan|7:00 PM: Its Barbecue time. The ‘Patient ones’ can wait for our chef to grill paneer and other veg delights, while the ‘Hungry ones’ can try a Do It Yourself (DIY). 25th Jan|8:00 PM: A short night hike through the jungle awaits for the adventurous & a photographic long exposure bonanza for Shutter bugs. Be ready to be humbled by the view of the volcanic black rockface of Dukes Nose. 25th Jan|9:00 PM: Enjoy the delicious dinner made by our very own Chef, Kamlesh bhai. You have to taste it to believe it!! 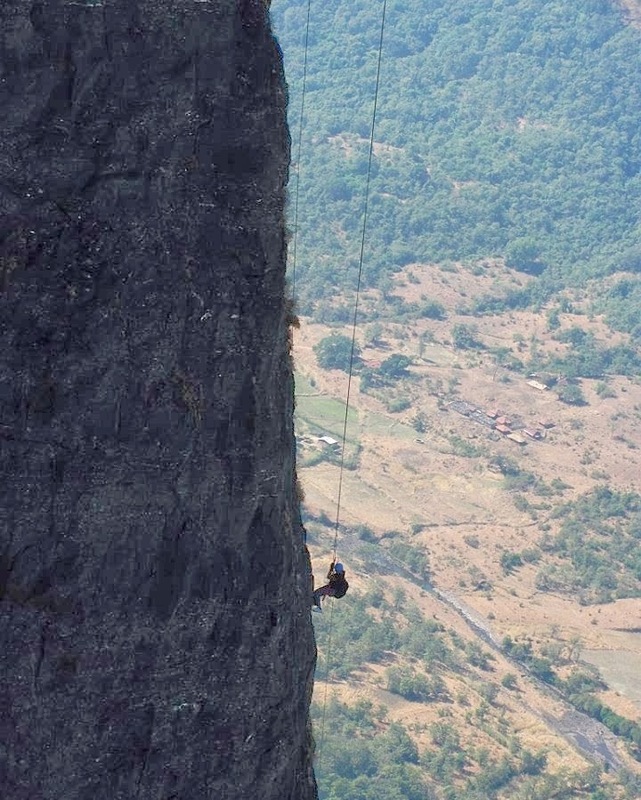 26th Jan|8:00 AM: Begin the famous 300 ft dare devil Rappelling from Dukes nose followed by a 1000 ft of traverse which will keep you alert as on one side there is 500 ft deep valley. 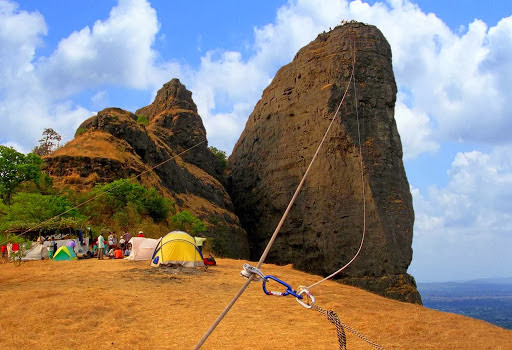 26th Jan|12:30 PM: Get on the plateau after a thrilling rappelling session and get set for a kite flying moment. Send your kites as far as you can and spread the message of Republic day or challenge the other kite fliers to express your dominance. 26th Jan|1:30 PM: Kite flying is synonymous with ‘UNDHIYU’, which is a Gujurati Delicacy only available during the winter.